The latest Bigbang wrist watch inspired by the chaos of the birth of universe, using gears, lightning, machine elements to express the feeling of life in prehistoric period. 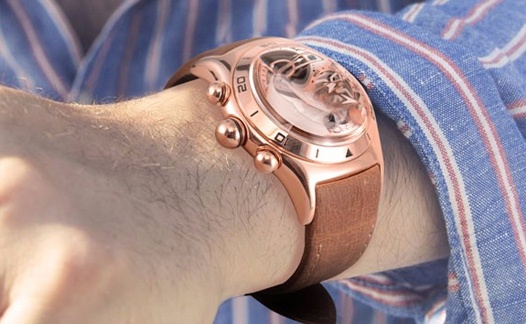 The 45mm watch case smooth and streamline, and the ball-shape crown inlay with a rubber ring. 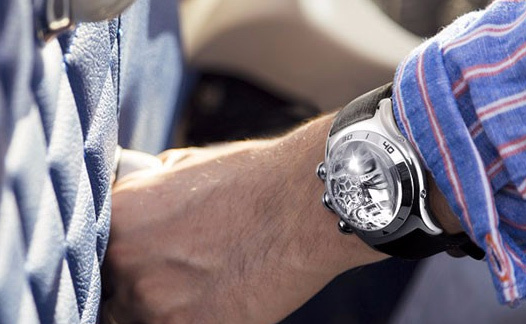 The heavy watch case match of the refine curved lugs, so close to the wrist, comfortable to wear, yet express individuality. 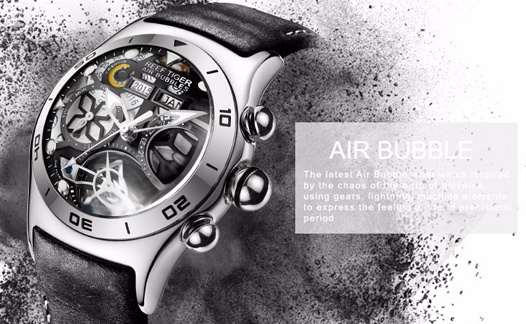 The designer designed the Bigbang watch dial like the celestial nebula in prehistoric world. The hollow grooved and lighting effects ably matched, the implication of the explosion and vitality perfectly in coordinate with the name of Bigbang.